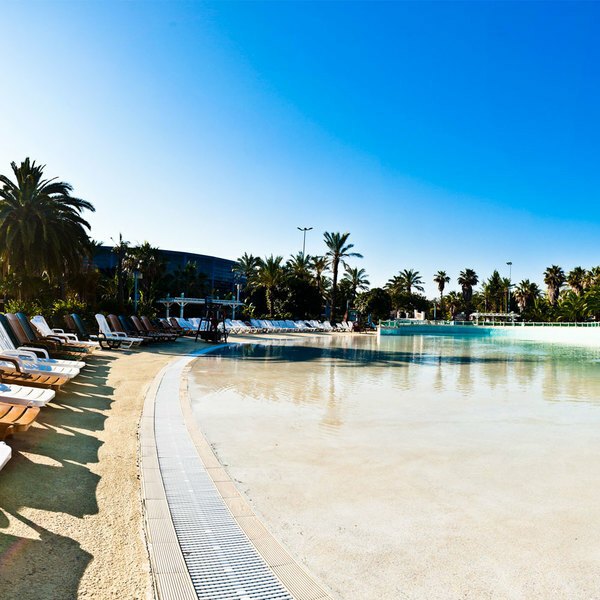 Sésamo Beach is the new children’s pool at PortAventura Caribe Aquatic Park, especially designed for adults and children to enjoy as a family. 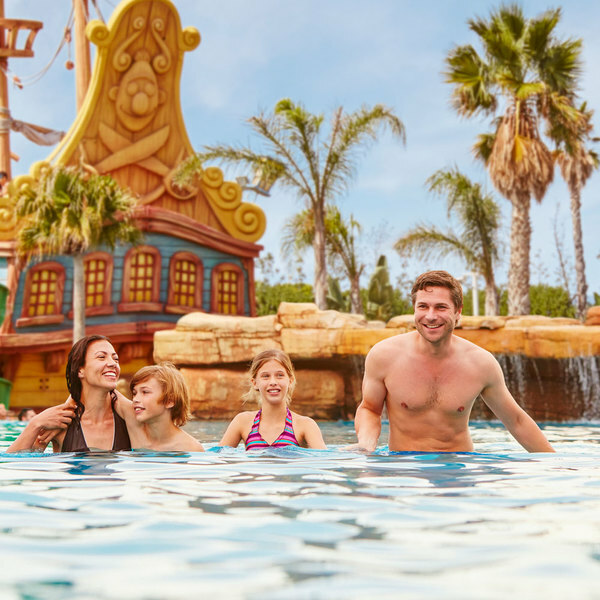 Little buccaneers always have a special place in PortAventura World so we pay attention to every detail to ensure that their experience at PortAventura Caribe Aquatic Park is refreshingly good fun! Sésamo Beach, with two depth levels of 50 cm and 30 cm, is the perfect area for our smallest guests to feel like the greatest pirates of the Seven Seas. 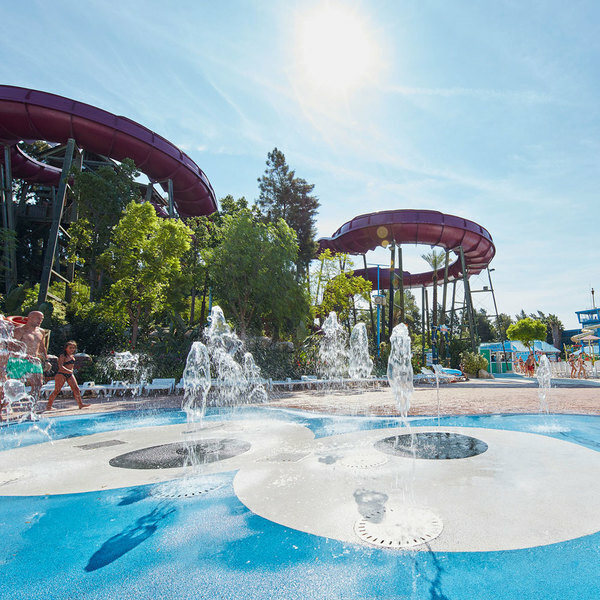 Bring the whole family to enjoy the new children’s pool at PortAventura Caribe Aquatic Park. A 100% refreshing adventure! Take a moment to sit back and relax at PortAventura on one of the Bahama Beach sun loungers; catch some rays whilst listening to the gentle lapping of the waves. 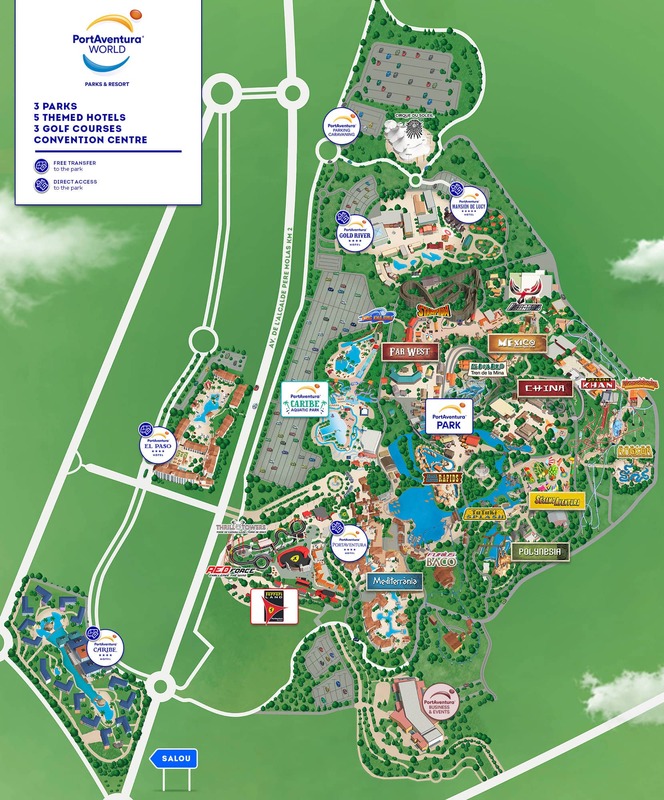 Have fun dodging in and out of the amusing water figures outlined by the fountains of Cayo Cookie and jump over the water jets in this new children’s attraction at PortAventura Caribe Aquatic Park. Take a well-earned rest in Playa Paraíso stretched out on one of its water beds, and enjoy an unrivalled palm-filled paradise in true Caribbean style.